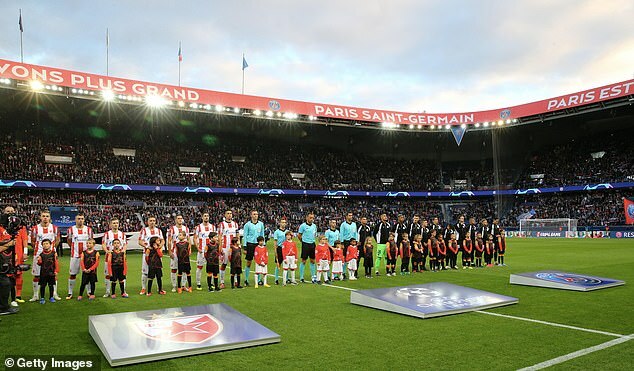 An investigation has been launched by national French prosecutors into allegations of match fixing involving Paris Saint-Germain‘s 6-1 Champions League win over Red Star Belgrade. Liverpool take on Red Star at Anfield in the next round of Champions League fixtures before heading to Belgrade for the return in November. It comes three days after Belgium’s biggest football scandal in decades left nine people behind bars, including one top referee and three agents. In all, 19 people faced charges ranging from match fixing to money laundering. Even though match-fixing allegations did not focus on the title race, which involved clubs such as Anderlecht, Club Brugge, and Standard Liege last season, it centred on the relegation fight and a once-famous club, FC Mechelen, which has fallen on hard times. Because of the size of the scandal, Belgium’s second division decided to scrap this weekend’s games. There are no fixtures in the first division because of the international break.